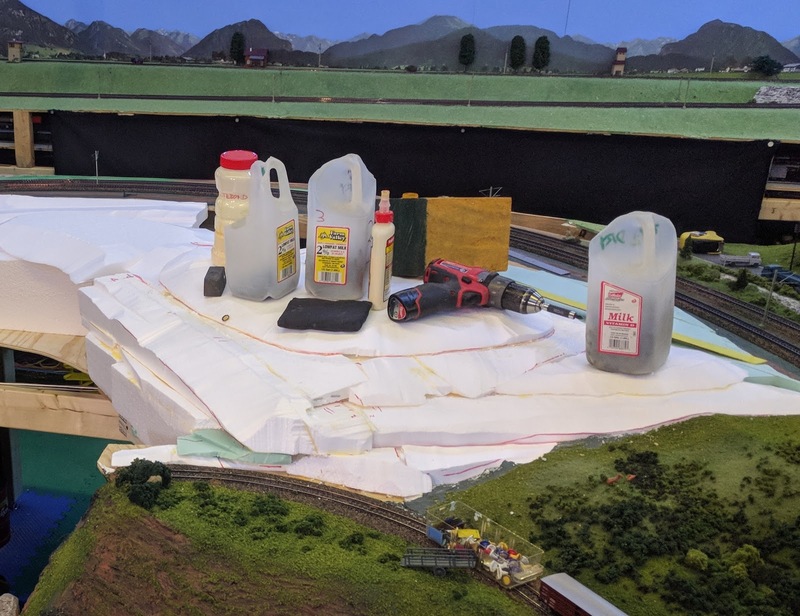 When I was making my large valley, I had to come up with some way to be able to work on the valley both while building it, and afterwards. I initially thought up a rather hair-brained scheme of trying to build a support system that would allow me to climb over the layout and reach down onto it, but sanity prevailed and I decided it would not be practical. 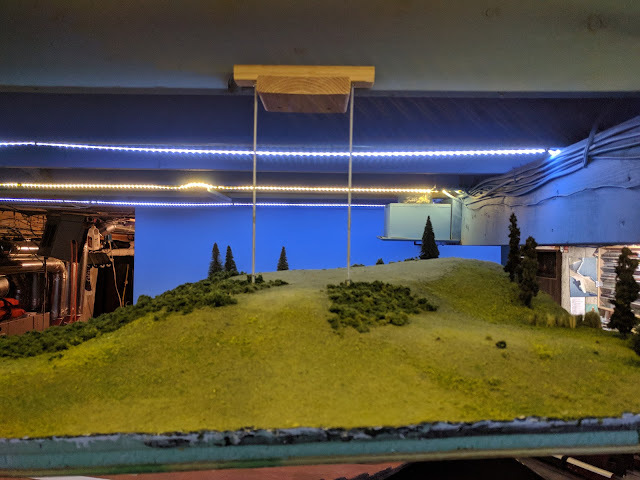 I decided to make one section that can be lifted out, carefully positioned so that once removed, I would be able to reach everything from that spot. 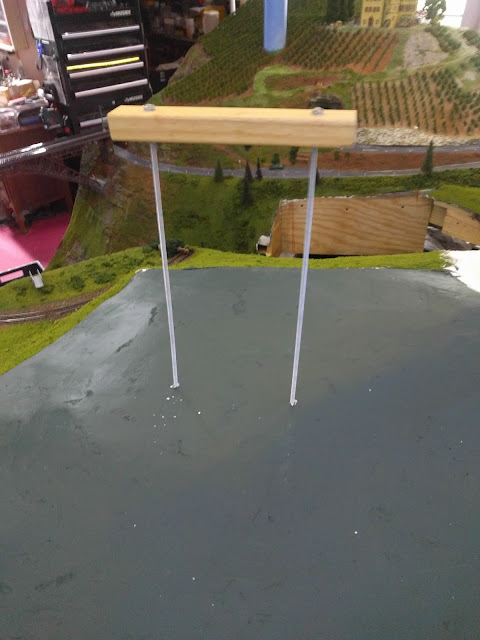 To make my life easier I decided not to have the river running through that lift-out section as I was concerned about hiding the joins that would cross the water of the river. 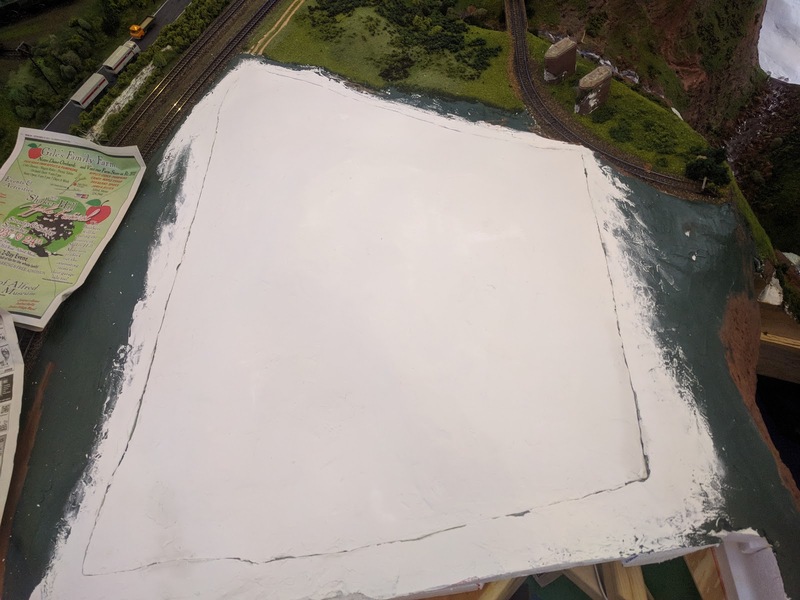 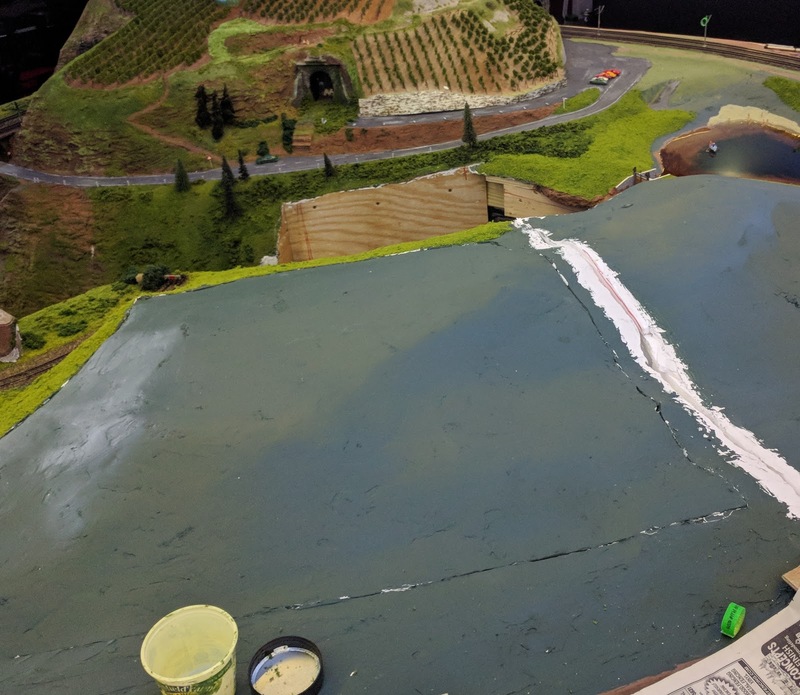 Fortunately, I also realized that most of the work on the lift-out section needed to be done first, so that I could work on making the landscape from where the river would be, then take it out to complete the river. 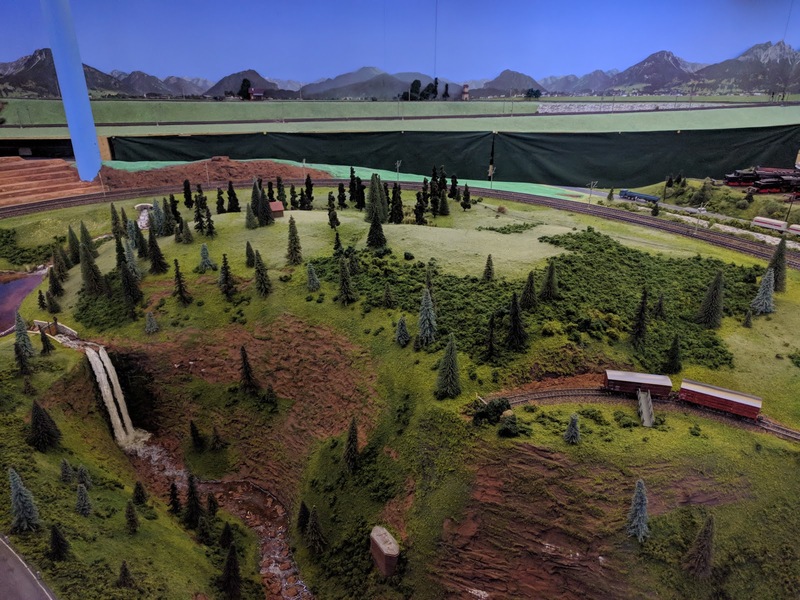 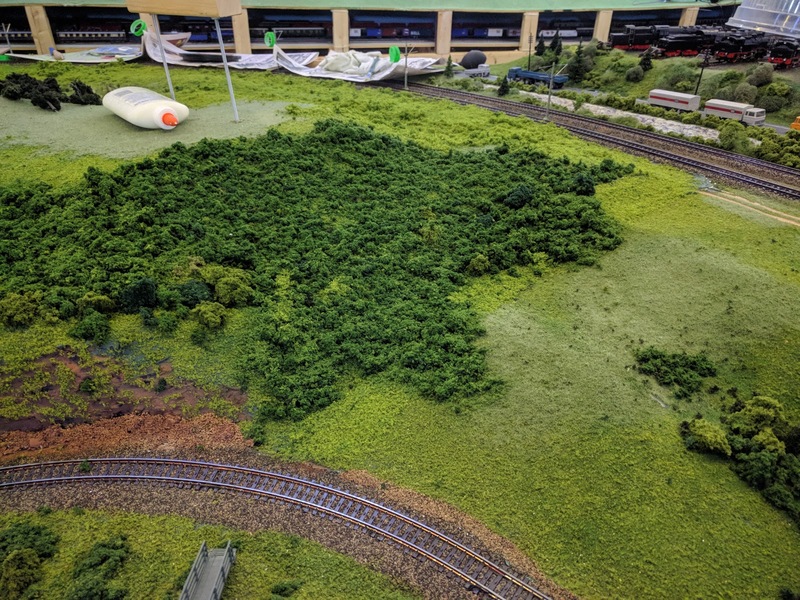 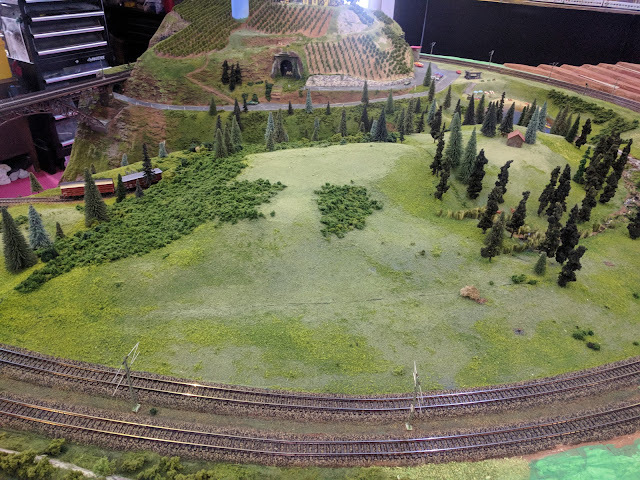 As a result, I worked on three areas of the layout in parallel, the lift-out section, the river valley, and a hill next to the other two parts. This describes how I made the lift-out section. 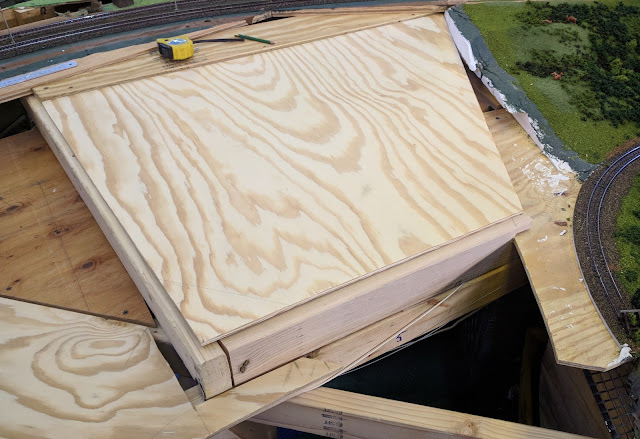 The first step was to make a plywood base that fitted over some of the benchwork framing. 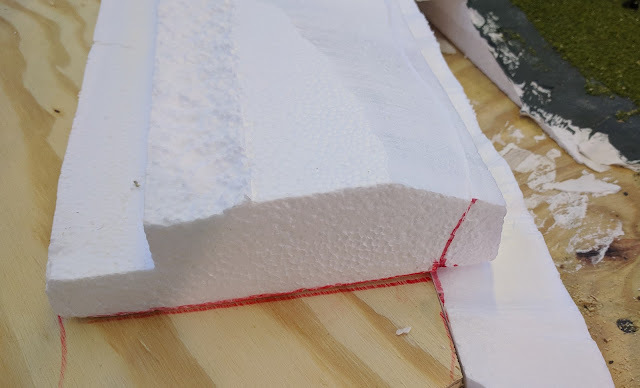 I then added Styrofoam around the edges and cut the sides so that they are tapered. 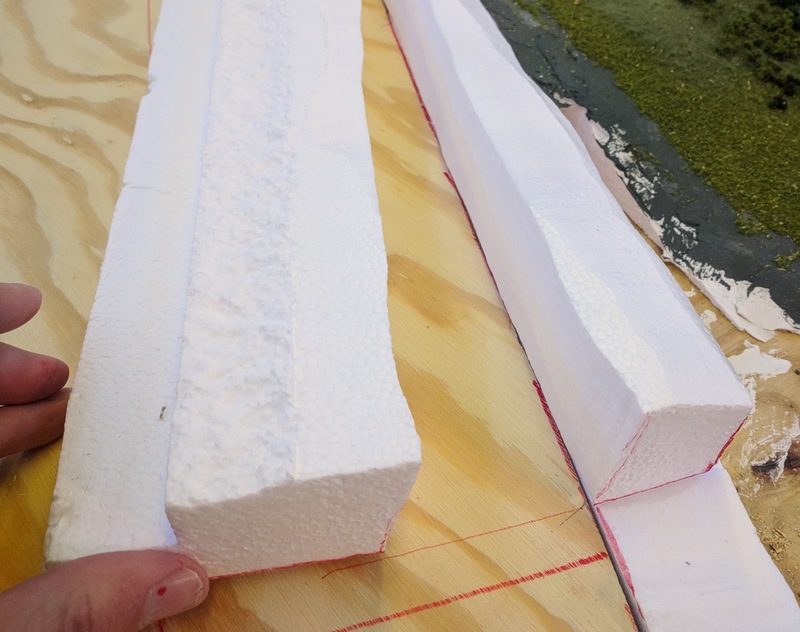 and also added Styrofoam in the middle to form a small hill. Here it is being held down during gluing. 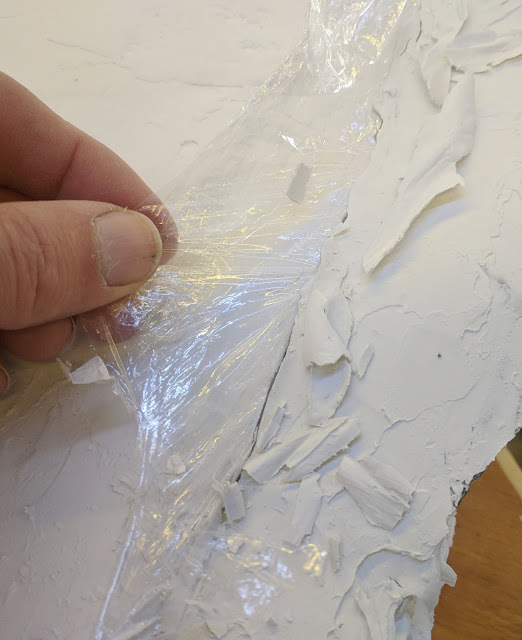 When it was time to add plaster, I placed cling wrap along the edges as I did not want the plaster to stick the lift-out section to the layout. 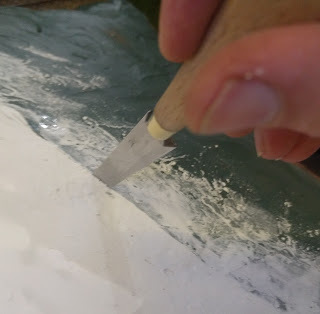 In order to lift the section out, I drilled two holes from the top that accept a lift-out handle. When the handle has been inserted, two wing nuts on the underside secure the lift-out section to the threaded rods of the handle. 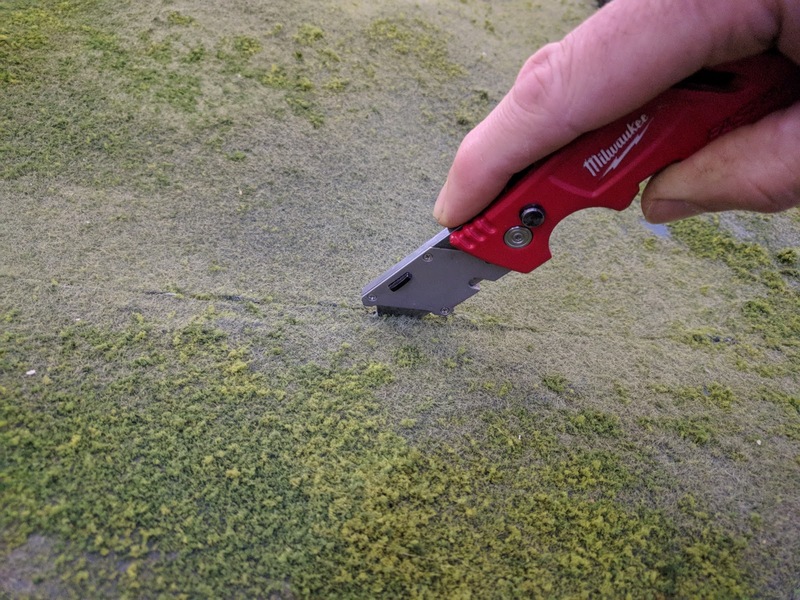 In areas where there are no bushes, I ran a work knife along the boundary to ensure that the grassing operations had not stuck the two sides together. If you look closely you can see a boundary! 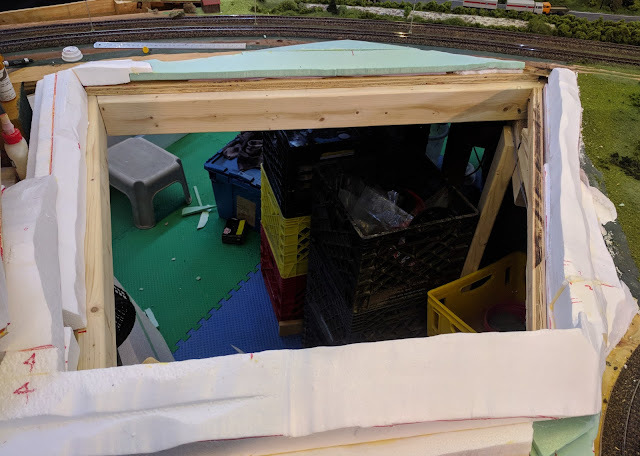 The entire lift-out section can be hung from the ceiling joist when it is not in place on the layout.